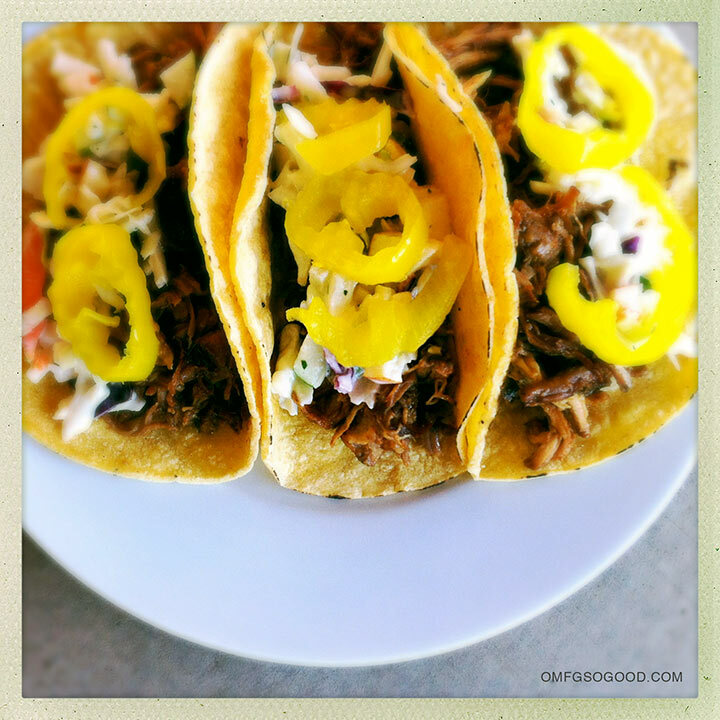 slow cooker BBQ pork tacos with apple slaw | omfg. so good. Sometimes Jonny sneaks away for delicious BBQ lunch without me. I know this because I see our friend Mike check in at Tom’s Thumb BBQ on The Facebook around 20 minutes after Jonny backs out of the garage. Not to mention, he comes home wreaking of sauce and pickle chips. It’s like he’s having an affair with shredded pork (and Mike.) I suppose things could be worse. The last time they had a little afternoon rendezvous, he let it slip that Mike ordered these amazing little BBQ Pork Sliders with slaw and sliced pickled deli peppers, which I immediately felt I needed. I chose to make my own sauce, but you could easily make these using your favorite off-the-shelf BBQ brand as well. I highly recommend taking the extra :30 minutes to make it from scratch, though. Mmmm, sauce. To make the BBQ sauce, combine all of the ingredients in a heavy saucepan and whisk until smooth. Bring to a boil over medium-high heat. Reduce heat to low and simmer uncovered for 30 – 35 minutes, or until the sauce has thickened and reduced a bit. Remove from heat, cool to room temperature. To make the apple slaw, combine the apple cider vinegar, mayonnaise (or yogurt), honey, salt, and ground white pepper in a small bowl and whisk to combine. 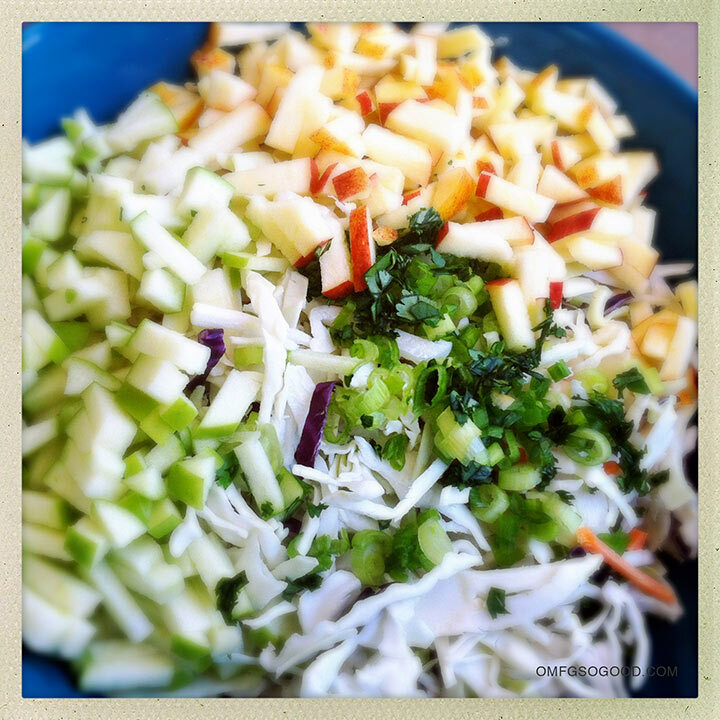 In a large mixing bowl, combine the cabbage blend, green onions, cilantro and apples, and toss to combine. Pour the dressing over the tossed cabbage/apple blend and gently toss to evenly coat. Cover and refrigerate until ready to eat. To make the slow cooked pork, place the roast in a lightly greased slow cooker, season with salt and ground white pepper, add diced onions and minced garlic, pour in 2 cups of the room temperature BBQ sauce (reserve the remaining sauce in a glass or ceramic dish until ready to serve) cover and cook on low for 8 – 10 hours or until the meat shreds easily with a fork. Transfer the cooked pork to a cutting board and shred with two forks, removing any large pieces of fat. Transfer the sauce from the slow cooker (skimming off any grossness) into a large bowl, add the shredded pork, and toss to coat. 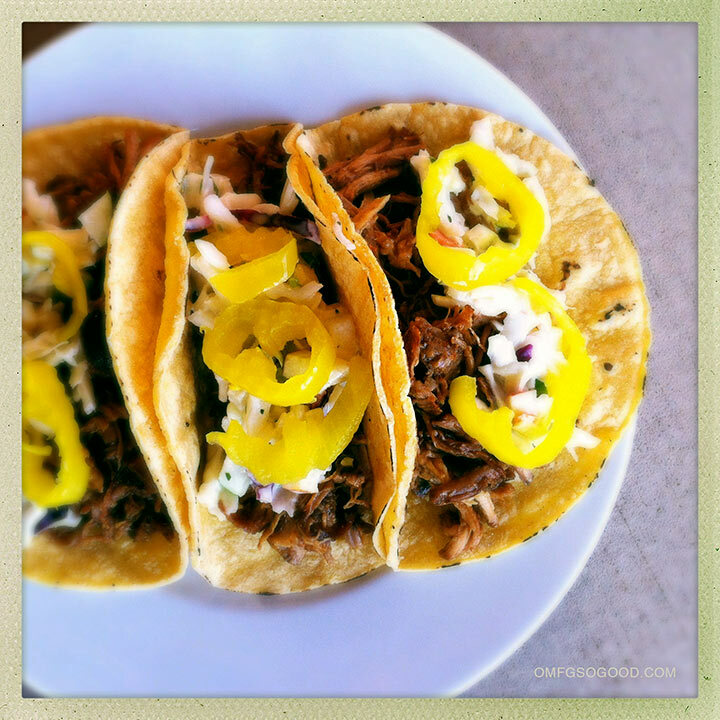 To assemble the tacos, heat your tortillas in a super hot skillet for 30 seconds on each side, lay them flat on the plate, heap on a good helping of shredded pork, drizzle on some of the reserved BBQ sauce, top with a spoon or two of apple slaw, and top with 2 – 3 pickled sliced deli peppers.